Truly a wonderful ranch home located in North Royal Oak in the Northwood Crooks area. Classic one story home with many redone exposed hardwood floors, recently painted interior and natural fireplace in the living room. 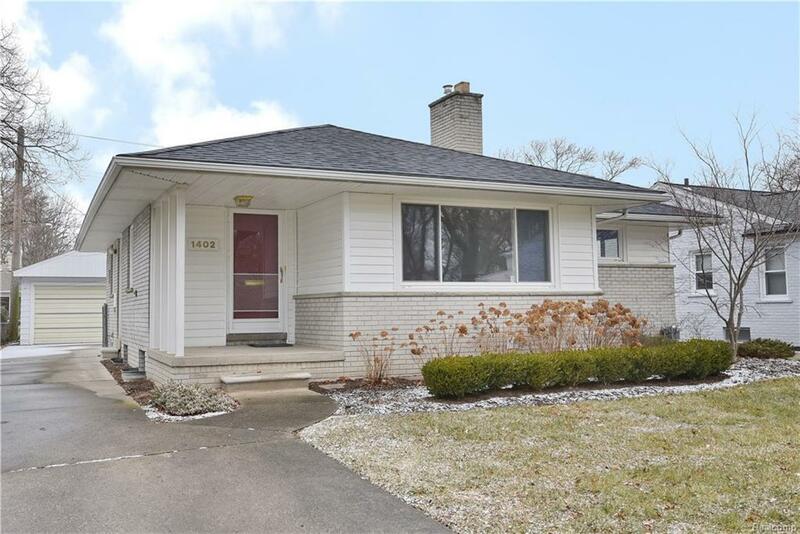 Listed as a three bedroom because a den was added off the original 3rd bedroom which makes it a walk-thru but really could be another bedroom or 1st floor home office. Finished lower level with full bathroom, two areas for office or work out rooms plus center recreation room. Updated furnace and central air conditioning along with an oversized two car garage. Sprinkler system, updated windows and great neighborhood make this a true winner. After almost 58 years the seller says its time for the next generation.